Tie down points per owners manual??? Getting a used XR with no owners manual and need to know the tie down points per the manual to haul on a trailer. Re: Tie down points per owners manual??? Page 110 and 111 says to tie down to the bottom fork bridge in the front and footpegs in the back. 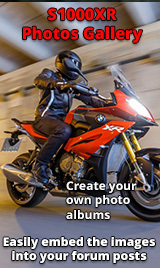 It also says to compress the suspension as much as possible and to not tie it down against the side stand. Used that tie down system on my trip to the Dragon in July and she was solid as rock. Works well just make sure you get some strap extenders/loops to keep stuff away from the bike. get a pit bull trailer restraint system, its great and you never have to worry about strapping down a bike again. Always used a set of bar straps and a tyre down on the back wheel. (there are loads of different systems like these). I just prefer not to load the suspension at both ends for any length of time. 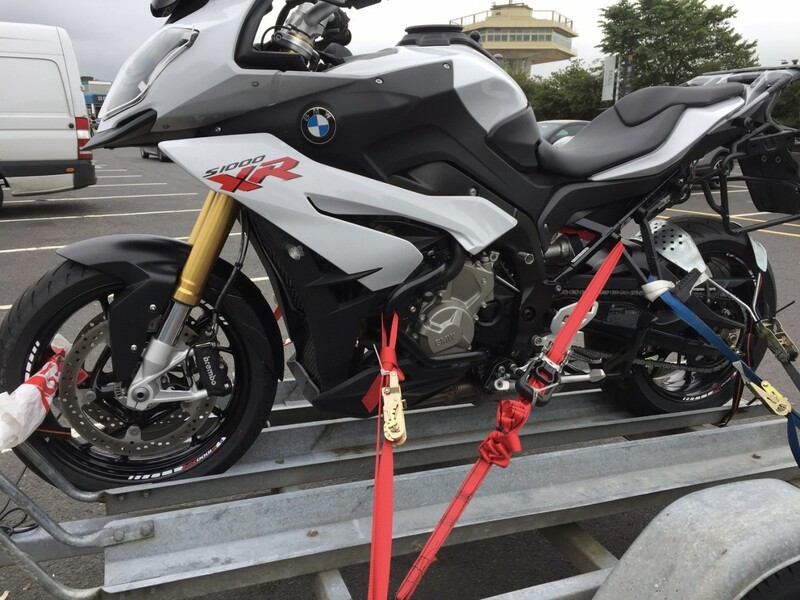 While in agreement about excessive force tying down a bike - I cant imagine that the straps exert more force than 22 stone of rider, pillion, and another 8 stone of luggage? I'm not a fan of bar-straps. As the angle of force, and the interference with the various accoutrements on modern bars - is great. The 'Pitbull' appears to be the epitome of tie-downs, and on a flat-bed would defo be my choice. Poly bag around front wheel to prevent strap chafing on wheel rim. The rear wheel clamp is good, but in the event of a single failure - the additional straps are there to prevent disaster. I also use (re-usable) cable-ties on the cargo-strap buckles and loose tails. Stop after a while on the country roads, and re-check everything is still as is should be. That's the first time I have trailered the XR, so took the pic - to do the exact same next time.